This purchase expiration notification offer advises you about the search engine optimization submission expiration of your domain yourdomain.tld. The information in this purchase expiration offer may contain confidential and/or legally privileged information from the processing department of Domain SEO Service to purchase our search engine traffic generator. We do not register or renew domain names. We sell traffic generator software. We offer a high quality search engine optimization service that keeps your site ranking high. This information is intended only for the use of the individual(s) named above. 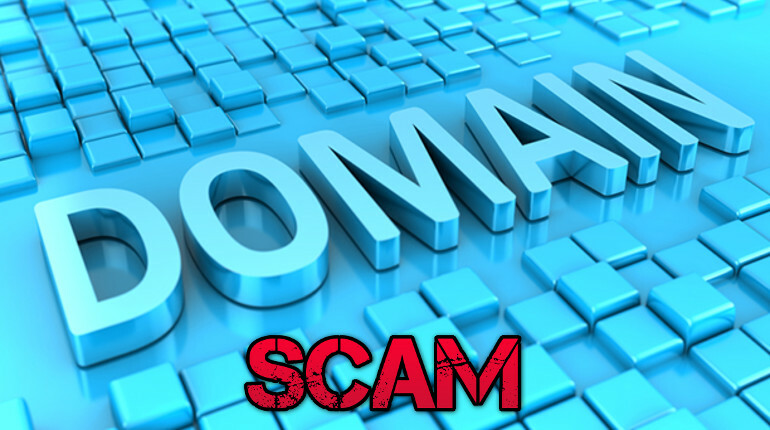 Failure to complete your yourdomain.tld domain name submission search engine optimization service may make it difficult for customers to find you online. search engine service optimization notification offer will expire 12/31/2016. You have received this message because you elected to receive special notification offers. If you no longer wish to receive our notifications, please unsubscribe here (link to: http://www.yourdomaintld.megstechseos.org/unsubscribe.php) or mail written request to Domain SEO Service Registration Corp., Miami Beach, FL 33139. If you have multiple accounts with us, you must opt out for each one individually in order to stop receiving SEO notices. We are a search engine optimization company. We do not register or renew domain names. We sell traffic generator software. This message is CAN-SPAM compliant. THIS IS NOT A BILL OR AN INVOICE. THIS IS A SEO PURCHASE OFFER. YOU ARE UNDER NO OBLIGATION TO PAY THE AMOUNT STATED UNLESS YOU ACCEPT THIS PURCHASE OFFER. This message contains promotional material strictly along the guidelines of the CAN-SPAM act of 2003. We have distinctly mentioned the source mail-id of this email and also disclosed our subject lines. They are in no way misleading. Please do not reply to this email, as we are not able to respond to messages sent to this address. Scam alert! The E-mail above is being spammed to every domain owner months before their domain expires. The subject, the heading and text suggest you must pay a.s.a.p. to prevent the domain name from expiring! If you read carefully (and many people won’t fully understand the used technical terms) the message states that they don’t renew your domain but that this is an ‘offer’ for "SEO services" which will expire on the given dates… The links lead to a payment page (see screenshot below). It is very doubtful that this is a real SEO service. You most likely won’t get any service. The fact that these very misleading spam messages are been auto generated using details from the whois (domain owners) database to spam domain owners makes this "Domain SEO Service" company at least very questionable. They claim to be a company based in Miami Beach, Florida, US, but the domain owners of the used domains (megstechseos.org and zesodomain.org) are based in Zhuhai, China, and the websites are hosted in Hong Kong (see also the owner details below). The fact that they use an anti-spam disclaimer and unsubscribe button at the bottom does NOT mean this wasn’t illegally spammed. If you’ve received this by e-mail than mark it as SPAM (if possible) and/or DELETE it. Do NOT click the ‘unsubscribe’ link because this leads to a page asking for your e-mail address and they most likely spam you even more (NEVER send your e-mail address to spammers!) If you have more information about this scam comment below. Sponsoring Registrar: Jiangsu Bangning Science and technology Co. Ltd. I am ISP (Estonia, Germany and France) and have currently registered 28 domains as my own companies and services plus arround 30.000 other domains which I care about. I get EVERY day between 50 and 500 “Domain Notification” and “Domain Expiration” spams. Not a singel registrar and/or hoster I have contacted has closed the offending websites or domains. Glad to have found your site, and want to add another domain to the list for anyone making a search on the latest version. I got a copy of this spam today, Dec. 15, 2016 from seosearchling.org. I use spamcop.net to find a reporting address and make a good faith attempt to inform the host (though they may be corrupt as well).